Our flagship software suite communicates with devices, remote sites and networks and aggregates the data. Get up and running quickly with this convenient guide to getting started with Axess™. Axess™ is a network-based management application of world class stature with a best-in-breed pedigree. With unsurpassed flexibility, capacity, and responsiveness, Axess™ is deployed across the United States and around the globe as a mission critical management tool by traditional and nontraditional broadcasters, content originators and distributors, wireless and wire line telecommunication building management teams, and facilities operators. Transmitter remote control has never been more comprehensive and powerful! fficiency on a moment by moment basis. With the ability to automatically identify objects/devices as they are added to the network, Axess™ makes expansion and growth easy and trouble free. With our integrated proprietary MIB browser, configuration of SNMP devices has never been simpler, more intuitive, or faster. With support of most major communications protocols in a broad cross section of vertical markets and the addition of mobile management from virtually any "smart" mobile, device Axess™ has the ability to conquer most every major management challenge of the 21st century! Our philosophy is simple: Buy the products that best fit your operational model whether based on budget, performance or footprint. Our goal is to enable the interface to the devices and subsystems to bring you the most comprehensive management solution available. Will Axess work with any operating system? The current version of Axess will run on Windows 7 Pro, Windows Server 2003, or Windows Server 2008 R2 32/64bit. Earlier versions of Axess running on Windows 2000 will require upgrade to one of those versions before upgrade to the current Axess version. Do I need a special Video Graphics card or monitor to view Axess? No, any video card or motherboard video interface capable of driving a standard 1280X1024 (or higher) resolution monitor will work..
Can Axess communicate over phone lines? Can Axess communicate with other devices via serial connection? Yes, Axess can communicate via RS-232 or RS-422 with a variety of serial devices, such as Statmon's universal interface device, and other similar devices made by industry manufacturers. Does Axess have notification features so that when an alarm condition exists, the operator or engineer can be made aware of them? Axess has the ability to send email, pager message, or give a voice-call notification should there be an alarm condition. The OVI (Operator Visual Interface) is a graphics object-oriented screen that is created by the user to show signal or data flow, equipment layout, signal & routing configurations, building facility parameters such as AC power phasing and door alarms, and operational variables, including alarms, warning messages, status and control conditions. Can I take an OVI from one site to another? Yes, you can build an OVI screen, or a group of screens, at one site and move or copy screens to another site for easy implementation..
Can I connect a video viewing device thru Axess?. Yes, using an video object on an OVI screen and an inexpensive Statmon-certified third party video grab device, Axess can give the user the ability to see a streaming video signal in (near) real time. The video image size and resolution is dependent upon the bandwidth available on the connection, the encoding settings on the grab device, and available processing and buffering on the Axess machine. It is not recommended to view full-screen high-resolution streams, as this may impair required Axess site processing. How long does it take to install Axess for the first time? The total time it takes depends on the number of sites that are to be installed and the complexity of each site. 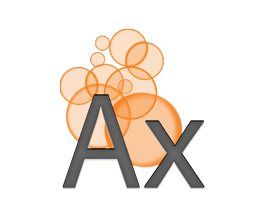 If possible, get a copy of the Axess manual from the Statmon FTP site and look it over. The manual goes over Pre-installation & PC machine requirements and OS setup, as well as the rich Axess feature set. Then create site layouts and configurations in a spreadsheet , for instance. Once you have a plan, install the Windows Operating System on each Axess machine, then the Axess software, and finally configure Axess for each site. Each of those steps has a unique time variable; the Axess software installation is usually under an hour per machine. Site customization will depend upon the number of channels, device configurations, and connections to be established, as well as the number of OVIs, notifications, reports and the like to be set up for each site. Does Axess have more than one type of meter and are they scalable? Yes, Axess has digital, analog, and graph meter styles available and each meter is scalable depending on the user’s preferences. Will Axess work across a WAN or LAN? Yes, Axess will work across a WAN or LAN (it is recommended that the user have a secure VNC/VPN type connection). How many COM ports do I need to set up Axess to control my EAS systems? You will need 3 COM ports to use Axess to control an EAS system; 1 for the UIF-32, 1 for the EAS Receive Messages, and 1 for the EAS Transmit messages. Depending on the configuration of your PC, you may need to add a serial port expander card to the machine for these COM ports. Does Axess support temperature probes? Yes, many industry standard temperature probes can be connected to Axess. Are the Controls, Status’, and Analogs programmable so they can be set up to act on their own should an alarm sound or Status change? Yes, Axess has the SCL (Statmon Control Language) feature that allows the user to set up scripts for each control, status, and analog channel that allow the system to perform specific user-defined actions automatically. Is there some type of password protection? Can I exclude individuals from enabling a button? Can I use Axess to monitor building systems? Yes, building systems that have parallel interface, in the form of voltage or contact closure, can be set up and monitored on the Axess system through the Statmon universal interface device. As well, Axess can utilize serial, TCP/IP and ModBus interfaces to most modern facility systems. Can Axess be accessed via the Web? Can more than one person use Axess at the same time? What is the difference between Axess and Recon™? There is no fundamental difference between Axess and Recon versions of the software. Customers who previously purchased Axess through Harris Corporation will have the Recon branded product. Can I generate reports with Axess? Yes, Axess will generate user-definable (filtered) Event and Analog reports that can be stored and viewed on Axess, or sent to multiple email addresses. What other special devices or systems can Axess interact with? Through a suite of device plug-ins, Axess can interface with a variety of devices or systems using TCP/IP, parallel, serial, USB, ModBus (Serial & TCP/IP) and SNMP (MIB) connections. Custom plug-ins can be created to connect to specialized devices or systems, please contact Statmon Sales with your request.